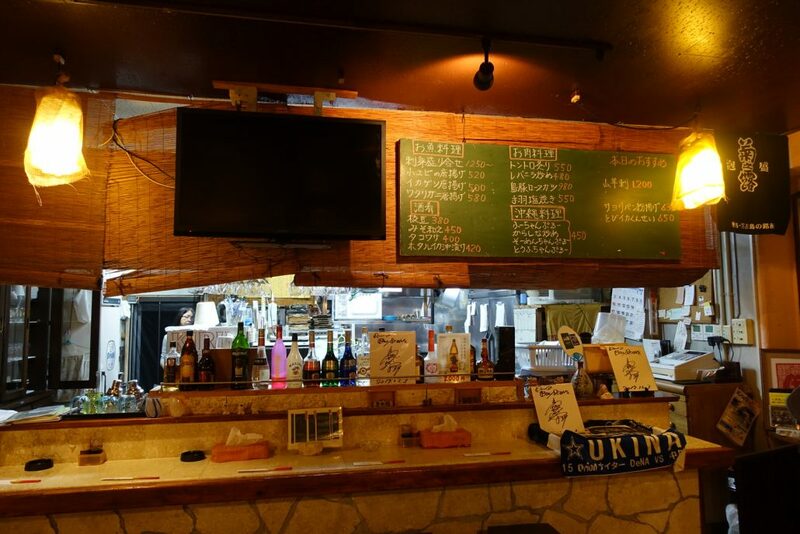 On our search of traditional Okinawa local delights, we found 居酒屋 いっとく. It wasn’t really clear what they serve or how the food is going to be. 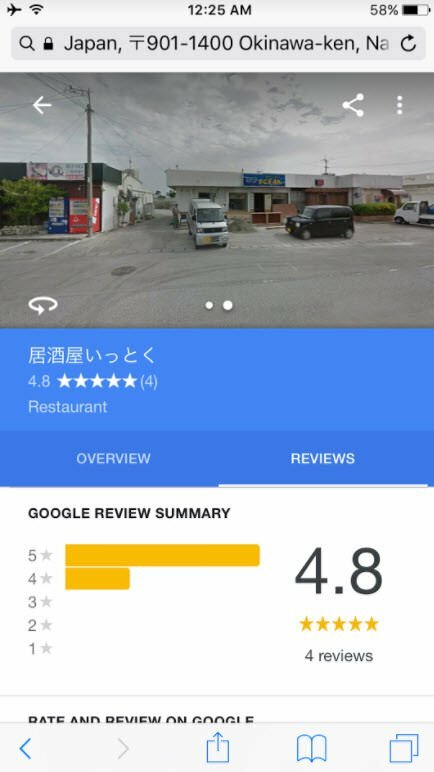 There were only 4 review and 2 photos on Google. With extremely limited information, we decided to give it a try since the review seems to be quite good (4.8 stars!) but at the same time unsure and uncertain. We are always on the discovery for good food! We followed the GPS and arrived at this quite isolated building. It’s quite normal for a restaurant to be at a hidden mysterious unexpected place. 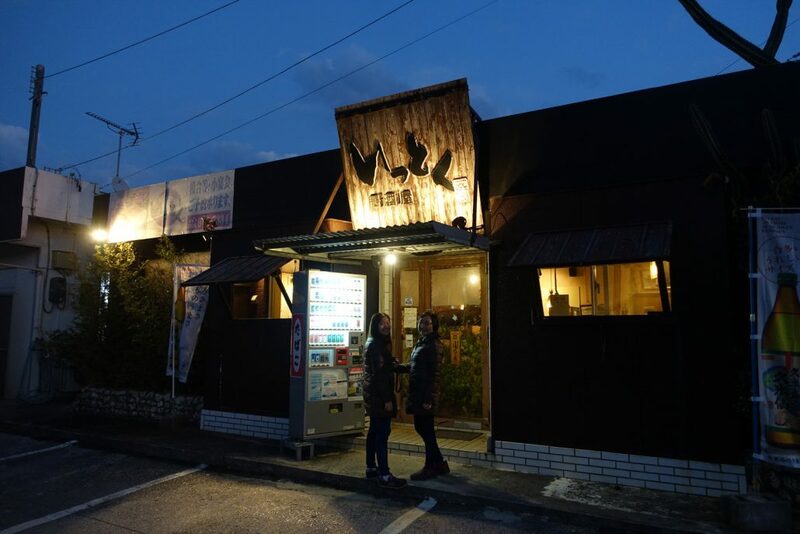 At least 居酒屋いっとく was located in a building along the road. 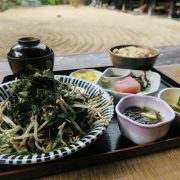 We had our lunch at Hamabe-no-chaya 浜辺の茶屋, which is even more isolated, hidden in the green forest area beside the beach. It took us some time to find the cafe as it is out of nowhere! 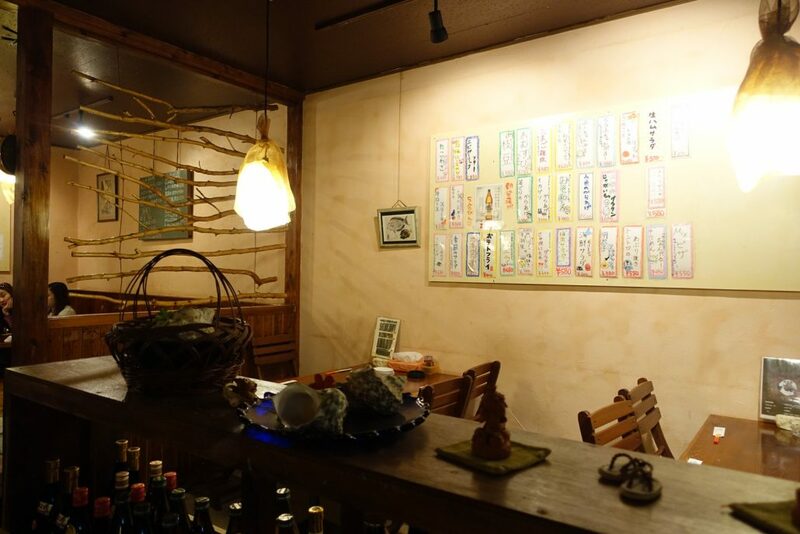 Do note that 居酒屋 いっとく is along the road! 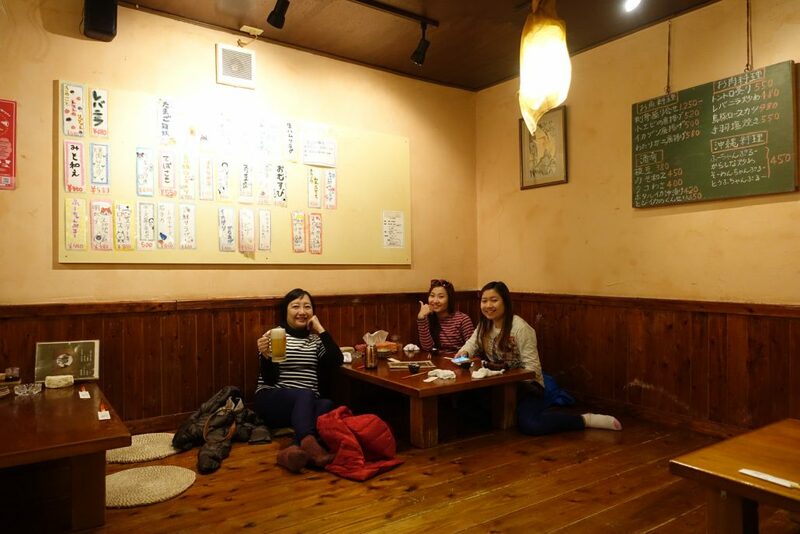 As we entered 居酒屋いっとく, a lady smiled and greeted us. Then, she said some stuff in Japanese but… unfortunately we went blank and couldn’t decipher what she was saying. So we started guessing “is it not open?” We tried to seek help but there was no one, we were the only customers in the entire restaurant. Ultimately, the restaurant owner gave up and brought us to the table. The restaurant is extremely cozy and homely. The furniture is mainly wooden, making it feel antique. You can choose to sit on the floor or chair. We sat on the floor like traditional Japanese would. It was said that sitting on the floor is extremely healthy and helps digested. We begin to feel our back and buttock aching midway through the meal. I start to appreciate having to sit on the chair with backrest to lean on. But still, we sat on the floor and ate like locals. 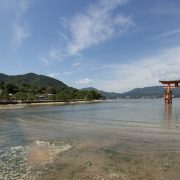 It’s not easy to even try to be like the locals, especially in a country like Japan. Before we could enjoy our meal, we had trouble ordering. 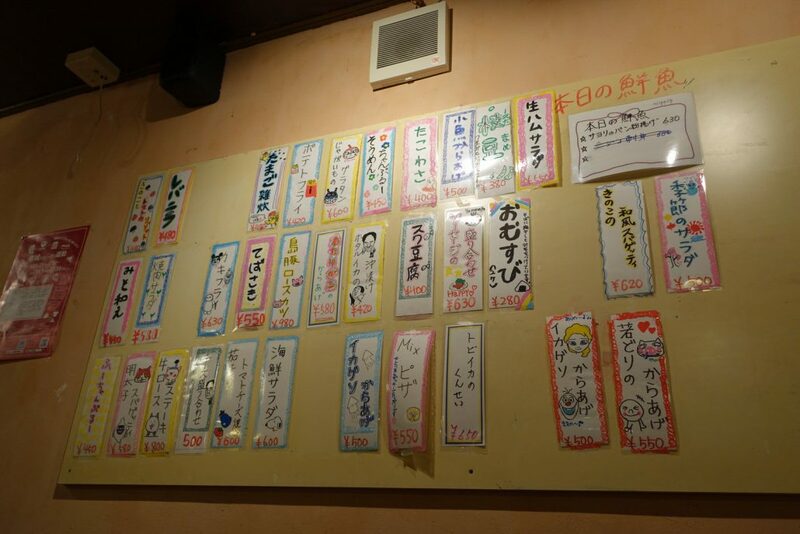 The entire restaurant is in Japanese language: the people, the menu, the words on the board. Gosh. What should we do now? So first, we look for help from our surrounding. We looked around the but there was no one. 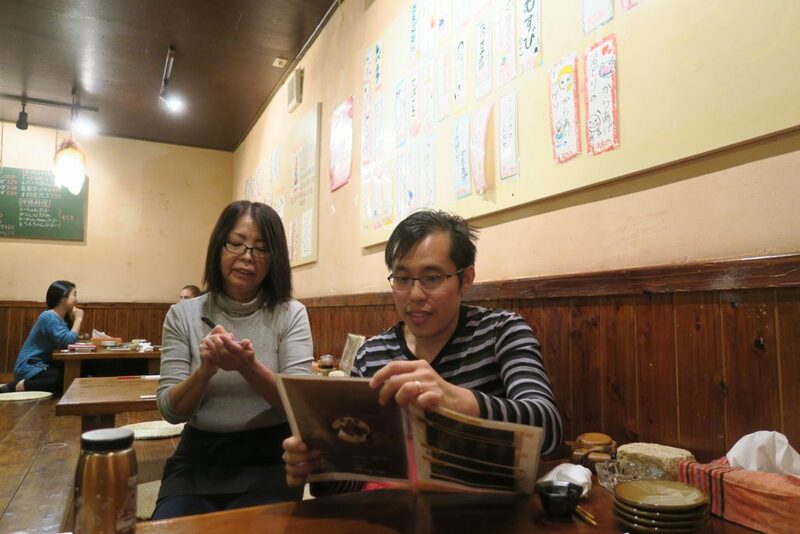 Next, we asked the lady serving us “englishi?” She shook her head. 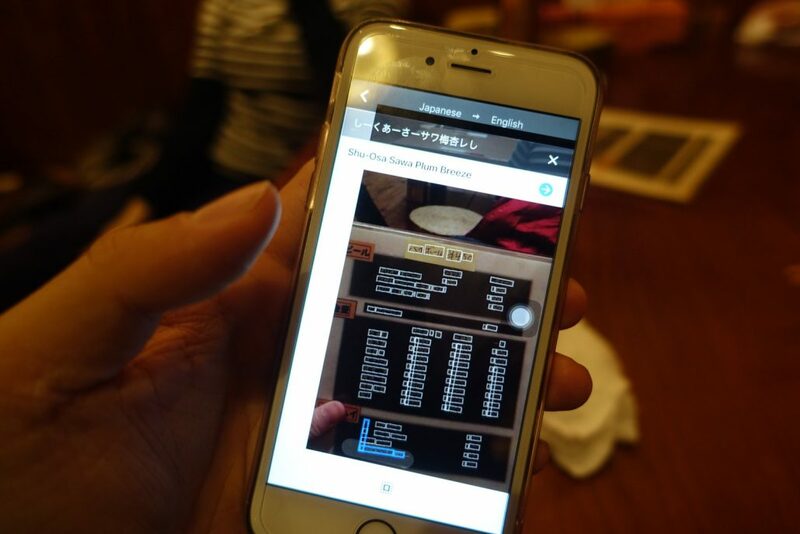 Then we ask ourselves “who can we ask?” So we started seeking help from our friends that can speak Japanese and started downloading the Google translate app. When you’re desperate you just have to try every single way. Ask Google, ask a friend but here comes our savior! The door opened and came in a group of 3, 1 from Osaka, the other 2 from Sweden. We were so relieved because we knew help is here! The lady from Osaka then translated the menu to us! She really saved the day man! Slowly but surely, we manage to understand the dishes on the menu. 10 thousand years went past before we could order. 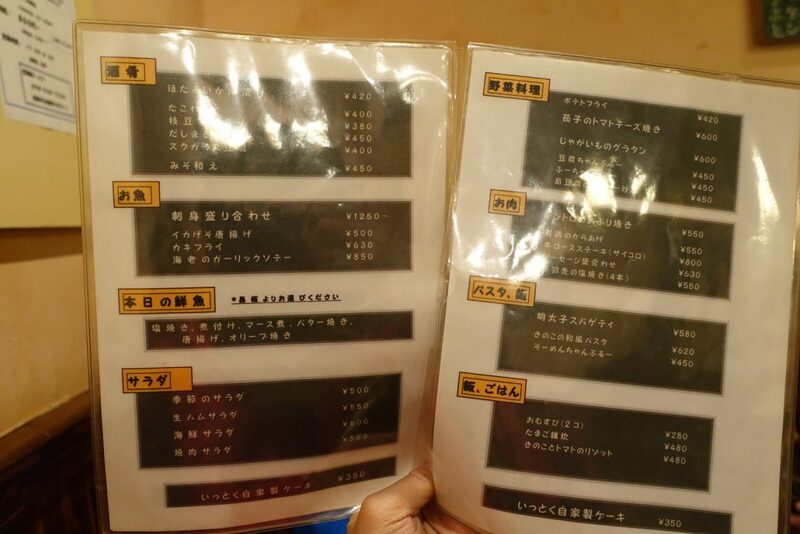 This is kinda an order list for those of you who can’t understand Japanese. 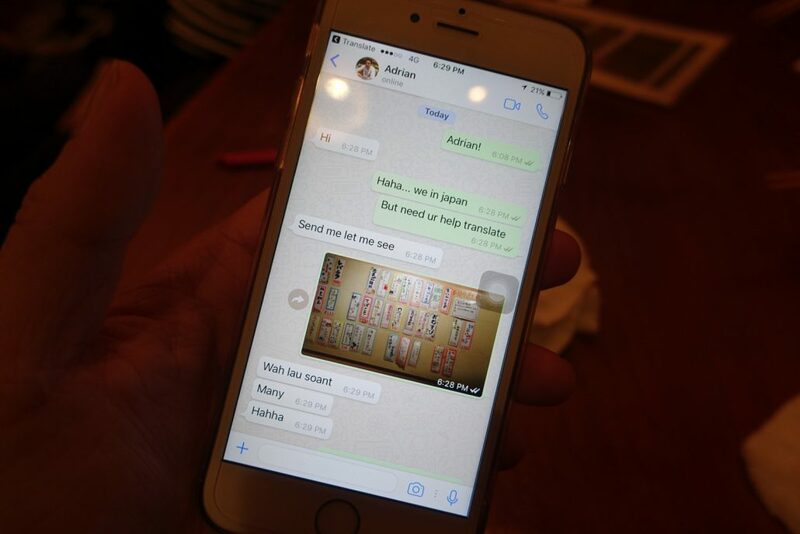 Or else u can show them the photos and order! Orion draft beer’s clear mild taste is widely loved as an Okinasan original! Okinawans love Orion beer! Orion Beer is super popular in Okinawa, almost as big of a symbol as the shisha dog or Shuri Castel even though the brewing company has only been in existence since 1957. 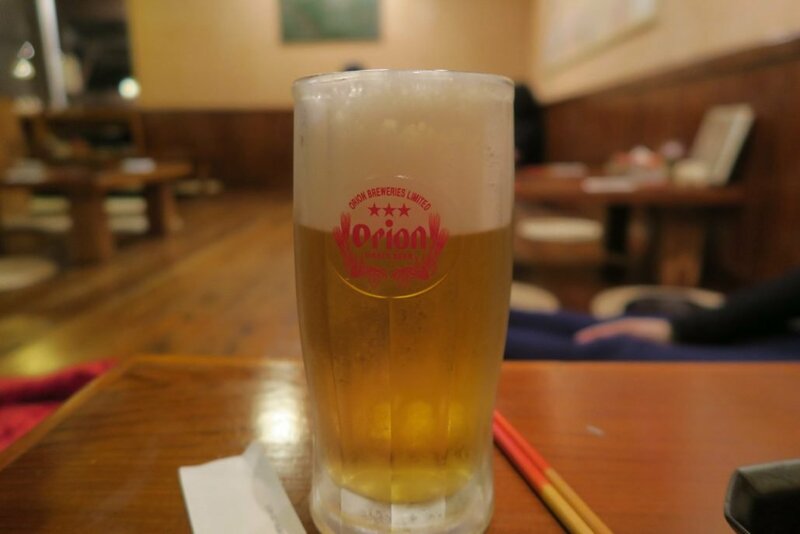 It’s light and refreshing, taste little lighter than Sapporo beer (according to TowKayNew). This was the first item added on to our order list as we could understand it from the menu! 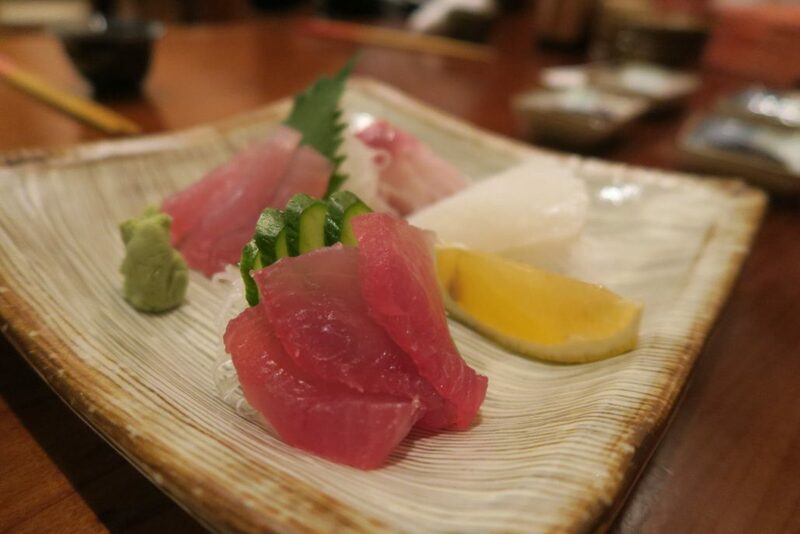 As sashimi lover, it was instantly added to our list! The sashimi was extremely fresh, raw and scented with the taste of oceans. We love the sashimi! 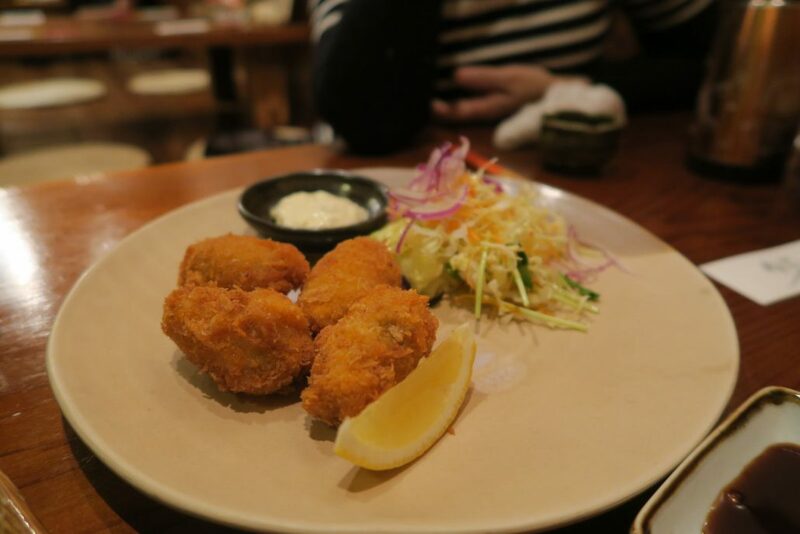 The fried oyster was rather yummy as well. It was fried to perfection not too oily! Okinawan style stir-fried tofu and vegetables. The vegetables were slightly bitter to our liking. 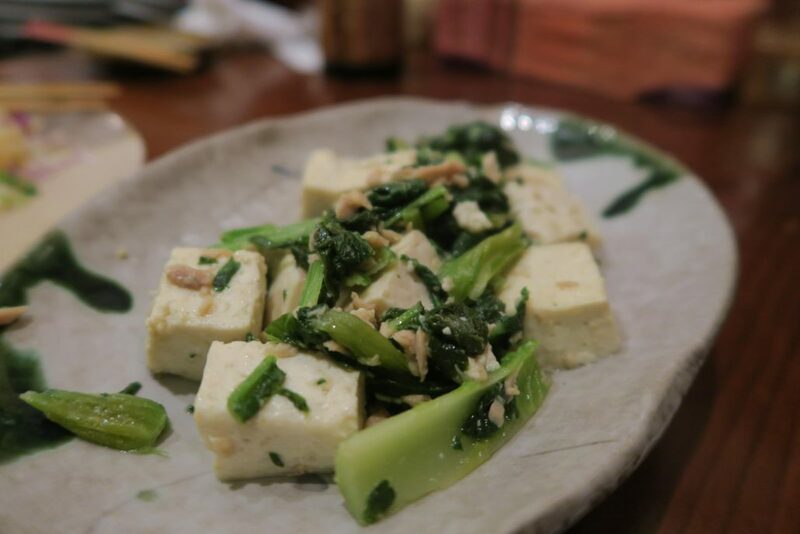 It’s amazing how the tofu Beancurd could still stay in intact as it tasted soft as we ate it! We were looking forward to the mentaiko pasta but we were disappointed. 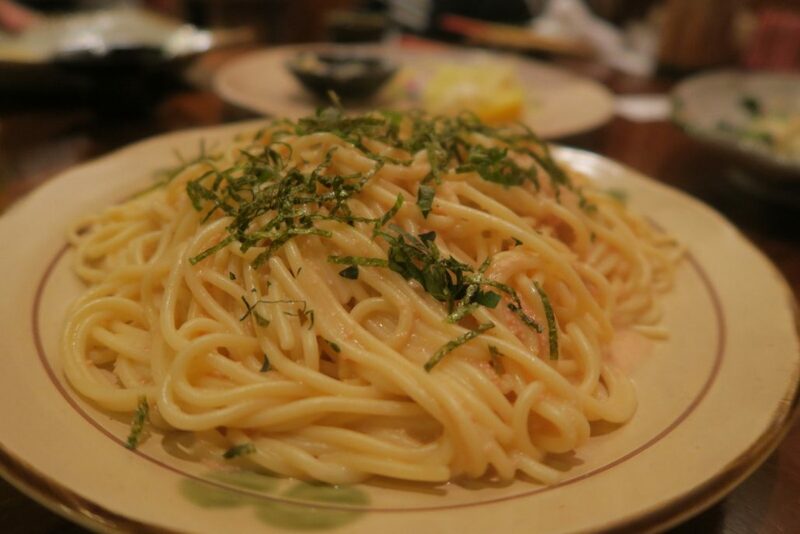 In our opinion, the mentaiko was quite bland and the pasta noodle tasted ordinary just like only spaghetti. You can give it a miss unless and save your stomach for others! The beef cube was tender but wish it could be softer! Towkaynew still prefer his Farmland marble beef he cooked! The sauce tasted like Yuzu with teriyaki but pardon me if I’m wrong cause I don’t know what we ordered exactly. Quite a small portion of about 12 small beef cube! We call this porridge because it tasted like porridge but we don’t know what it was because this dish came as a mistake. We didn’t order it but somehow the staff made a mistake and serve this to us. But because we didn’t really know what we ordered and we didn’t how to ask what we order or it was ours. So we just accepted it and begin eating. Surprisingly, it was nice! To us, Chinese, it’s similar to porridge with egg and mushroom! It was so sweet that we were glad to be served wrongly! Refer to the receipt for the full name for the dish! 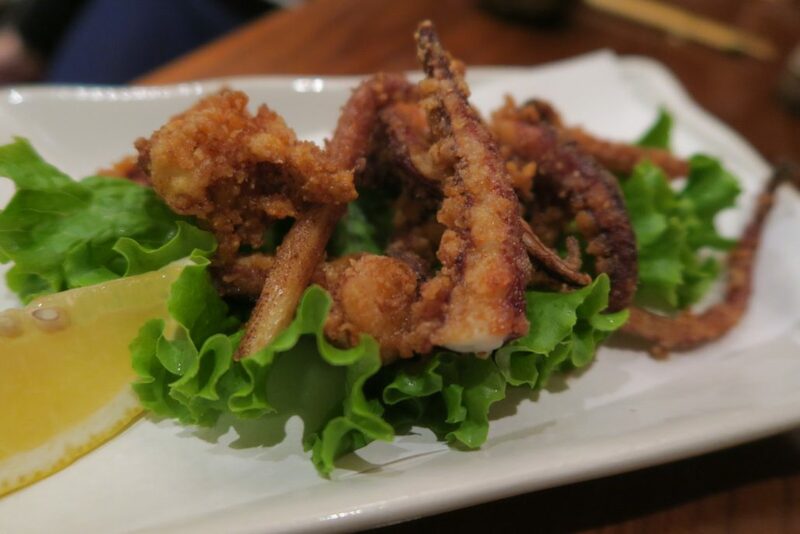 Nothing really special but we like cuttlefish tentacles so we added it to our orders! You can try if you like or if you have space in your stomach! The dish reminds me of my grandmother cooking – the home cooked food feeling! 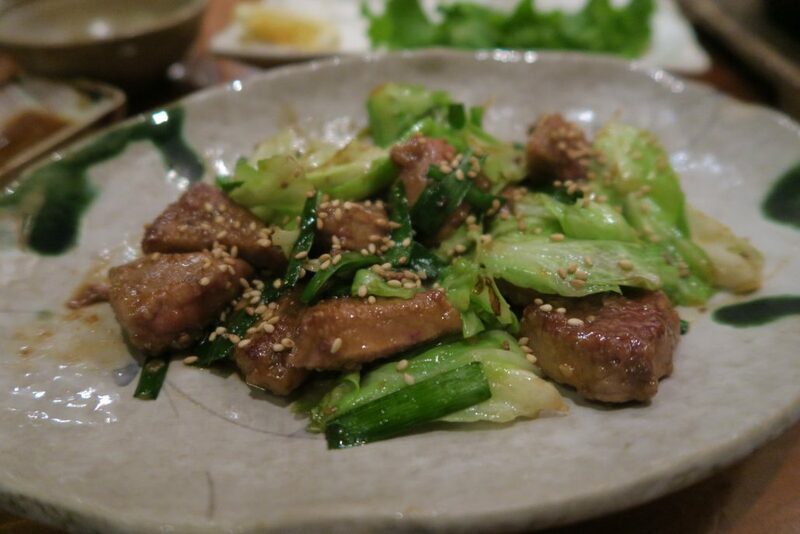 The liver was sliced into small pieces and stir-fried with vegetables! 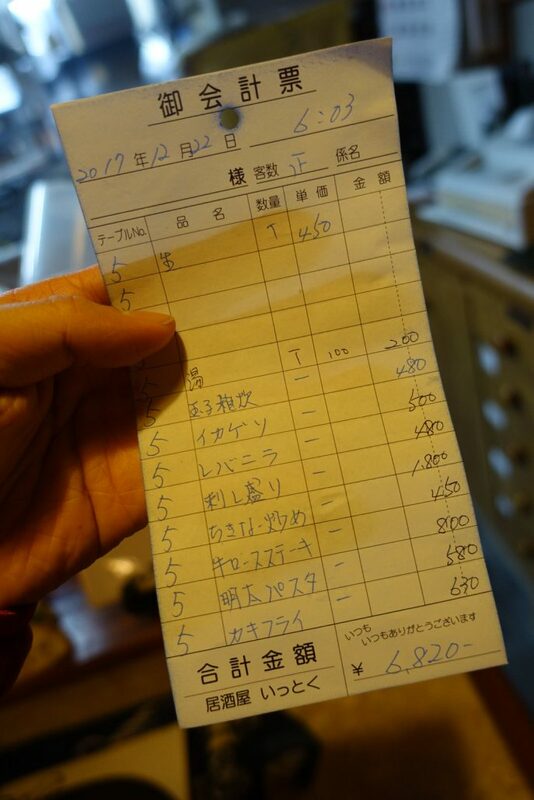 We spend a total of ¥6,820 for the 8 dish and 2 beer! Here’s our receipt for reference because we couldn’t understand fully what was written on the receipt! The total amount came to a surprise to us! We kept on ordering more as they come in a small serving and it’s not filling. Overall, all the food is nice and tasty except for the Mentaiko pasta. The portion here is quite small for its price. For a small restaurant, they have quite a wide variety of food from meats, seafood, salad, pasta, risotto etc. The homely and relaxing atmosphere made our meal a great one. There were only 3 tables on a Friday night so don’t be surprised if its empty when you enter! 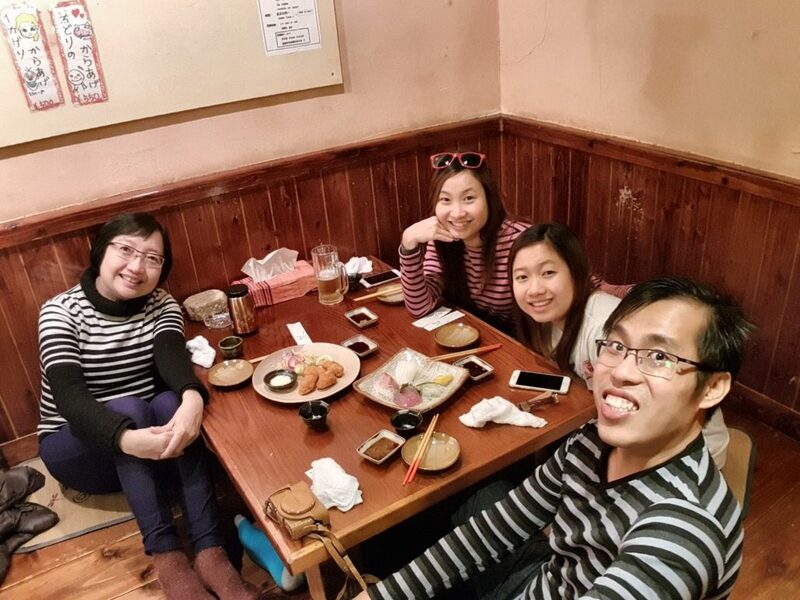 We overcame the language barrier and manage to fill our tummy! 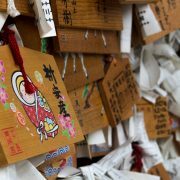 All the best to all the Non-Japanese speaking friend! 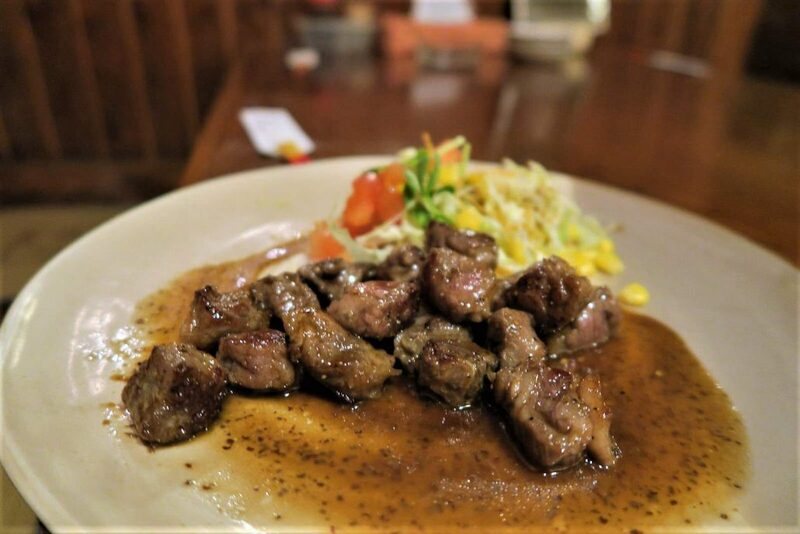 Hope you can enjoy the delicious food at 居酒屋いっとく! 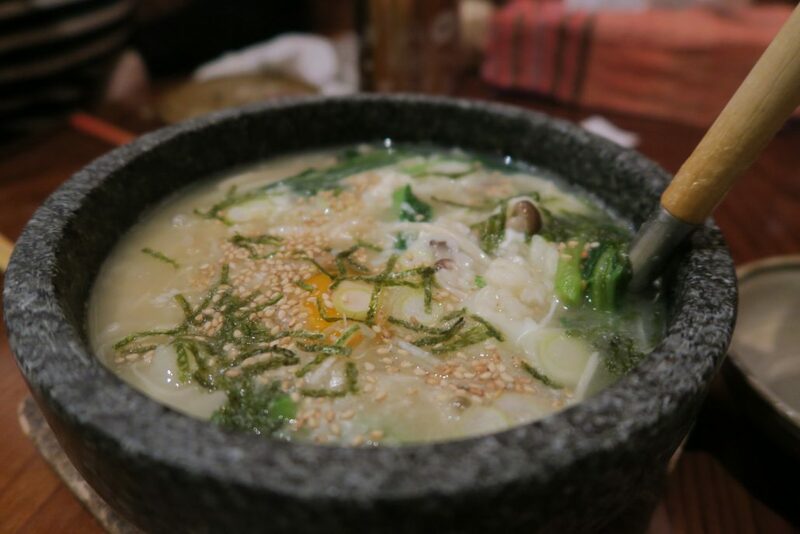 https://www.notchbad.com/wp-content/uploads/2017/12/Izakaya-Ittoku-Nanjo-Okinawa-welfie.jpg 1200 1600 Jiaying https://notchbad.com/wp-content/uploads/2016/11/NOTCHBAD-logo-300x138.png Jiaying2017-12-26 19:25:092017-12-26 19:25:09Izakaya Ittoku @ Nanjo Okinawa - Surviving Dinner with No English Translation!